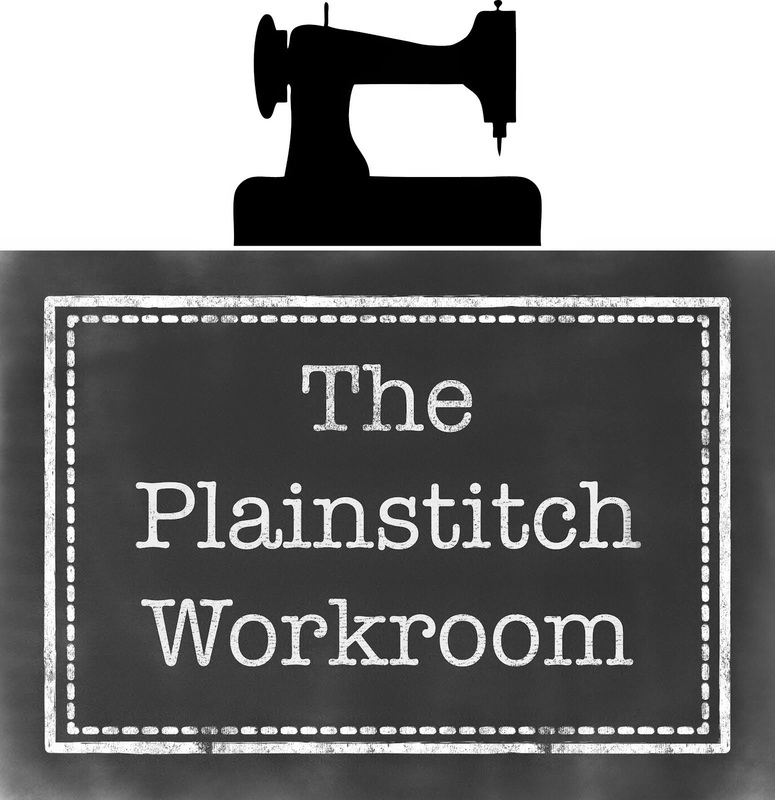 Phew, its been a super busy week - buzzy busy - the best kind! My Autumn Simple Sampler classes kicked off over the last two weeks and they have been such fun. I am so lucky that such lovely ladies have signed up and we are all off and running at a rate of knots! I will definitely remember to get some pictures next week to share with you all, there was lots of fabric, amazing cakes, big mugs of tea and quilts quilts quilts! I also spent the week 'on tour' with a very special quilt I have been burning the midnight oil to finish. My amazing friends in my MakeClub group have been working on a Hexi-Quilt to the same design as my original one here . It has been made to be the prize in a competition running in our village of Wendover, here in Bucks to raise money for a very special charity- Mimis Mission. Our sewing group MakeClub, at the behest of our kids who have supported the charity through their schools, decided to make this our charity for this years quilt. Each woman donated scraps from her stash, including Mimi Nana Netia. Each fabric in this quilt has had another life, or is also part of another project, our kids love picking out 'theirs'. We started making hexagons, with no colour plan, the pile just grew and grew. After a very busy morning back in February sorting and rearranging the amazing rainbow colour scheme emerged. Each woman was given a line of hexagons through the colour spectrum and asked to sew them into a strip, then attach her strip to her neighbours and pass it on. The quilt travelled around our village, slowly growing and changing - each woman hand stitching her donated strip to the whole. We spent the summer hand quilting it, binding it and Rachel , our super talented PlainStitch class cake baker and embroiderer made a truly beautiful label for the back. This quilt can be yours for two pounds! Imagine?! All you have to do is guess how many hours, minutes and seconds was spent in the making of it? You can see the quilt from the end of October displayed in the window of Cromptons Interiors on the high street here in Wendover, opposite Budgens and Rumseys Chocolatier. You can enter the competition in many of the Wendover shops, wherever you see the poster above, including Cromptons, plus at St Marys Church, at the infant school John Hampden School Christmas Fayre and at the charity Christmas Market on the Manor Waste on the 24th November. 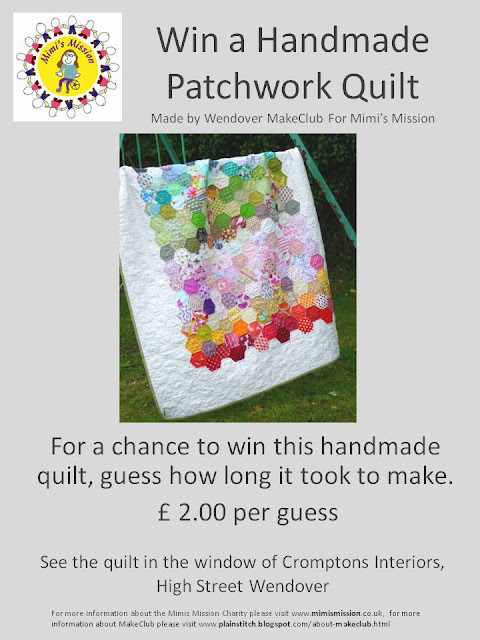 If you have kiddies or grandchildren at the Wendover schools and playschools the quilt will be touring them in the week before half term and there will be an opportunity to enter the competition then too. We have nearly 25 children and grandchildren who will all stand up proudly in their school assemblies and explain how the quilt was made - its been such a lovely project to be a part of! Do have a go at winning it - its really a prize that money alone can't buy! I just finished this quilt. I love it. I think it sums up what I'm about. But Rooted in the Traditions of Quilting. Google 'Baltimore Album Quilt' in images and it will blow your mind. These were serious show pieces made by women with the time to show off in those days, not designed to ever get sat on or slept under mind you! Whenever I look at images of these quilts they look so modern to me, especially the simpler less 'look at me' ones. I wanted to make an applique block quilt, but make it modern. I hope you like it. It kind of sparked a creative explosion in me and I just kept having to 'reinterprete' more traditional blocks from Baltimore to the Amish(!) - the result became my Modern Applique Sampler Quilt which I will teach as a class after Xmas.I hope some of you fancy quilting along with me on that one to make your own modern 'look at me' quilt! Check out the tab Spring Classes 2013 to join me if you would like to make this Modern Applique quilt your 2013 project. 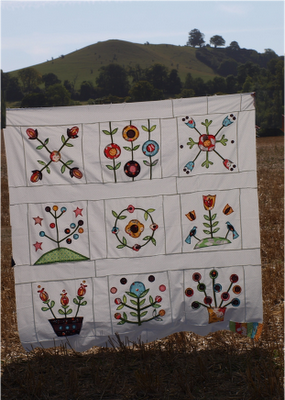 I will be taking some more lovely photos of this quilt ( when i can rope in some volunteers with stronger arms than my poor kids!) to share with you more of the detail of each fun block. 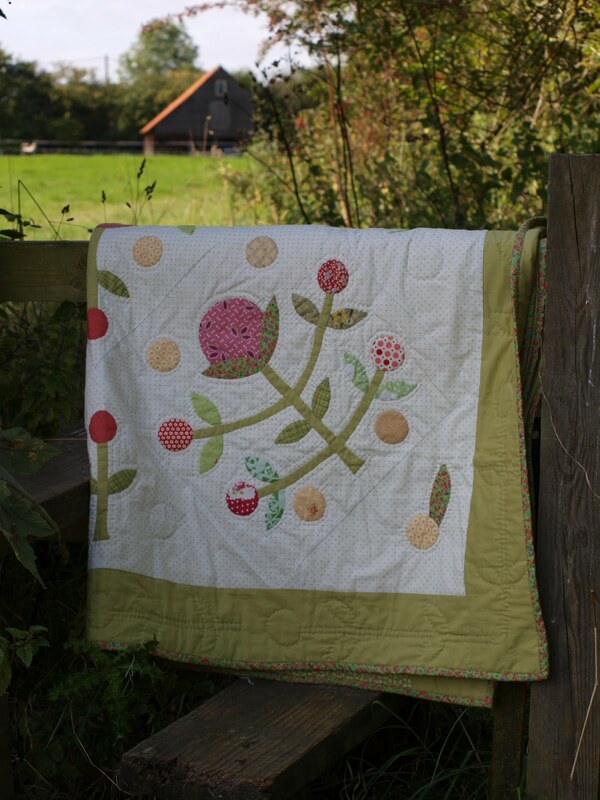 I have loved designing and making this quilt, I hope you will too. Its styled on the traditional elaborate Applique quilts from the 1850's, taking inspiration from folk art, Amish quilts and a dash of the 1950's - but made modern! This one really would make a future heirloom, the pace is slow and steady, 9 classes over 7 months to quilt along with a group as we each make our own unique version. If you missed out on the Autumn Simple Sampler classes I will be running this popular class again in the Spring, sign up early it's already booking. New for 2013 I also have a Quilting for Baby class which I am very excited about as my first quilts were driven by my desire to make things for my babies. I found quilting the perfect project to combine with new babies as its so pick-up-and-put-downable! I know there's lots of lovely Grannies-to-be out there too who would love this class - it's Short and Sweet, Plain and Simple - come along and see for yourself! I love this time of year. The final lingering of summer warmth with just that nip in the air and the unmistakable smell of autumn creeping in. I confess I do love autumn and early winter, the cosy thoughts of fires and long evenings. It helps being a lover of craft, winter evenings offer the promise of unlimited indulgent knitting and quilting. Today I had a million things to do, but I decided I would give myself over to a little bit of squirrelly preparation for the winter ahead! I had been wanting for ages to make a set of lid warmers (?is that what they are called?) for the cosy Rayburn (Mrs HotBottom as she's known in our house).You can buy white quilted versions for the round lids of agas at the posh shop nearby for an extortionate amount, but as a committed lover of all things patchworky, plain white ones weren't going to cut the mustard with me whatever the price. I had in mind a plan for some scandi-mid century Rayburn warmers and the idea had been bubbling away for the summer just awaiting the autumn urge to make them a reality. Inspired by my favourite tea towel I decided to go with the sardine shape, in blues to match my kitchen, on an oatmealy linen background with the backs lined with a cut up old towel.The bright pink one wriggled its way in there as it was all looking a bit too tasteful understated and Wedgwood blue! I appliqued the fish to the linen backing, bulked up the pads with two layers of standard cotton batting and the towel as the backing. I machine quilted around each fish then bound them with a standard double fold binding, looped at one corner to make a hanging loop. I was really rather pleased with them, you cant beat a bit of feelgood 'fun' sewing on a whim! However now that long list of preparation for my autumn classes is calling me so I'm off to my sewing room to work on some lovely samples of the class blocks that I am working up, and to put the final finishing touches to the Advanced Applique Quilt for my class in the new year which is almost ready for its ta dah! moment on the blog, bye for now and enjoy this weather while it lasts!